Scientists from the University of Glasgow, Scotland recently announced that they have developed a new method to promote bone growth by “nanokicking” mesenchymal stem cells (MSCs), 1,000 times per second. The researchers claim their method to be cheaper and easier to use than the current methods are, and hope it will contribute in the treatment of several orthopaedic conditions like osteoporosis, bone fractures and spinal traumas. As explained in our mesenchymal stem cell page, MSCs are stem cells with the capacity to transform into the cells that fat,bone, muscles and other skeletal tissues are comprised of. However, coaxing MSCs to differentiate into specific cells is not simple and requires expensive and/ or complex chemical cocktails. 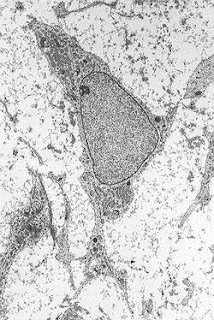 In this study, the Scottish researchers have developed a new protocol to induce osteoblastogenesis (the production of osteoblasts) in human MSCs cultures. They refer to this protocol as "nanoscale sinusoidal mechanotransductive", with the "nanokicking" term used for simplicity. The technique is based on a naturally occurring vibration that happens when bone cells (osteoblasts) come together to form new bone tissue. During the study, the researches imitated this vibration, which has a frequency of 1,000 times per second, kicking the MSCs 1,000 times per second at a distance of 5-30 nm. However, this was not a simple task and the researchers had to cooperate with astrophysicist Dr Stuart Reid from the University of the West of Scotland. With Reid's help, the team used a technique called laser interferometry to deliver the "kicks" with the correct strength and frequency. Matt Dalby, one of the study's authors and professor at the University of Glasgow, said that their method is simple and doesn't require any "cocktails of chemicals" to differentiate MSCs into osteoblasts, the bone-forming cells of our body. 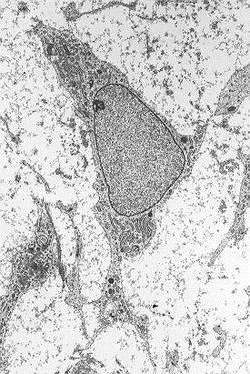 "This collaboration between cell biologists and astrophysicists – an unlikely pairing – has yielded new insight as to how bone stem cells work." he added. The team's next goal is to test their findings on humans and plan to collaborate with rehabilitation engineers at the Queen Elizabeth National Spinal Injuries Unit. There, they will try to treat patients with spinal injuries using their newly developed technique. "We look forwards to working with the rehabilitation engineers; this will provide us with new challenges, but challenges that we welcome," said Dalby.